When space needs to be maximized, cabinetry is often the answer. Salvaged glass doors and windows slide along a wall surface to reveal the bedroom where pull out closets fully utilize the ceiling height. 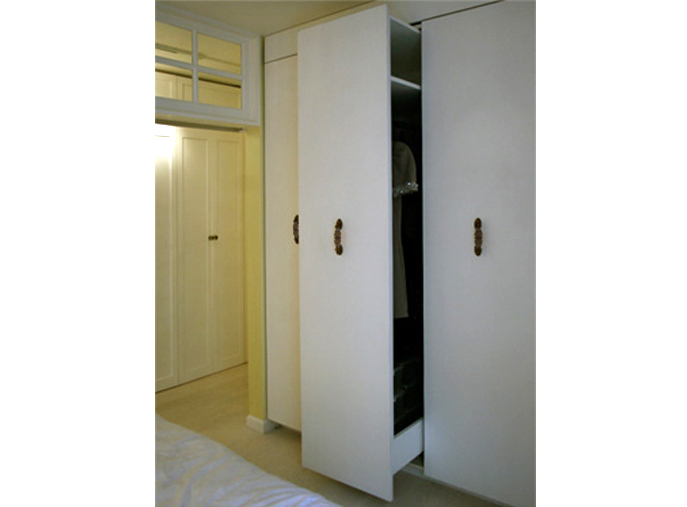 The challenge is achieving top quality fit and finish where large units need to be delivered into small spaces and assembled on site.